Dishonored is undoubtedly one of gaming’s greats, fusing stunning first-person stealth gameplay with a gorgeous and original oil-painting art style. The definitive edition brings Corvo’s mission to the PlayStation 4 and collects all the downloadable content missions to boot but does it do enough to warrant another romp through Dunwall or is this another unnecessary revamp? For those new to Dishonored, here’s the low down. You’re Corvo, a bodyguard of the queen who’s framed for her murder by a league of powerful assassins. You’re tasked with surviving these assassins and the other inhabitants of Dunwall city, working to clear your name of the injustice smattered upon it in this steam-punk stealth masterpiece. To transcend the almost-open-world landscape, Corvo can use his newly obtained supernatural abilities or equip one of his many gadgets while using lethal or non-lethal methods to dispatch foes. That’s right, there’s a moral choice system in play and it actually has very real and apparent in-game consequences. There’s a few things to swiftly note about Dishonored’s Definitive Edition, firstly this is by no means a remaster. Graphics have been touched up with the odd area brightened and sharpened but nothing of marginal notice. The frame-rate remains locked at 30 frames-per-second and can even dip below that while the textures have definitely dated giving a clay feel to the previously heart-warming art style. Most of the changes come in the form of atmospheric tweaks. The Dishonored: Definitive Edition now utilizes the microphone nestled in your DualShock 4 controller with game sounds such as the Power whispers, the sibylline voice of the Heart, and the use of the Spyglass emanating from between your palms as you play. It’s also been handily optimized for Remote Play on your Vita, not that it plays particularly well on the handheld anyway. That’s not to say this isn’t worth your while. If you’ve never played Dishonored this is the perfect opportunity to experience this milestone in stealth game play. Collecting all the add-on content together means you get the full Dunwall experience in a neatly priced and packaged bundle that’s a mus- have for newbies. The Knife of Dunwall puts the shoe on the other foot, enabling the player to take control of Daud, the leader of the very assassin’s Corvo is working against while The Brigmore Witches continues your adventures with Daud in another fleshed out quest line. The other downloadable articles included are the ten challenge maps of the Dunwall City Trials and the Void Walker pack, which collects the pre-order bonuses in one handy place. Things get a little more questionable when you consider double dippers. Although a great game that basically requires multiple playthroughs to get the full experience, the additional content seems trivial if you’ve already forked out for the original game, even if owners of the PS3 version get a 50 percent price cut on upgrading. It’s clear that the sole intention of this is to expose the new onslaught of gamers to Dishonored and prepare the market for the announced sequel. It’s a logical marketing ploy considering the wealth of first-time console owners but something extra for previous owners to experience anew. A handful of new abilities, a new area or even a solid display of graphical improvement wouldn’t have gone amiss as branding a direct port as a “definitive” release is a little crass and borders on the misleading. If you’ve never played Dishonored then this game should already be in your basket. It’s a pristine release that’s being saved from fading into history with this re-release and delivers all the content as a thank you. For the double dippers considering this, a stern word of caution. Very little has changed since you left Dunwall but if you really get a kick out of your controller talking to you then by all means, go in for the kill. 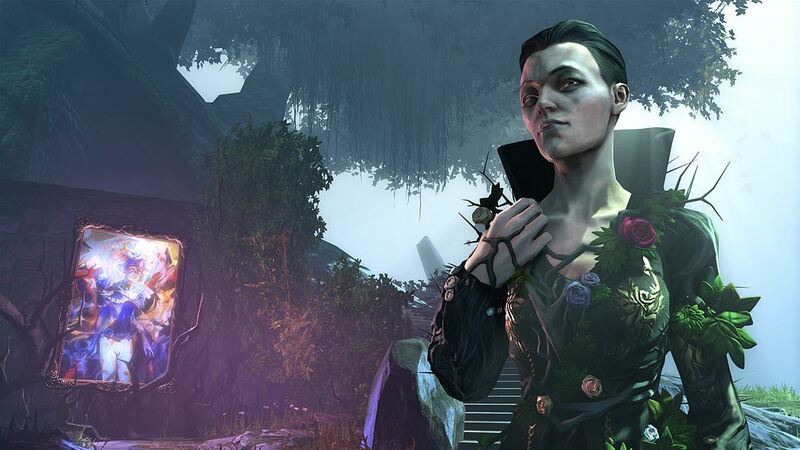 Dishonored: Definitive Edition review copy provided by publisher. For information on scoring, please read our Review Policy here.